They just go together really well. (SPOT.ph) 2016 is coming to a close and the most wonderful time of the year, Christmas, is just around the corner! The holidays are when we get to kick back with friends and loved ones, while taking stock of the year that passed—most likely over lots of food and lots of drink! But while its the season for Noche Buena fare and "good spirits," one drink, as it always does, will have a significant place at every gathering this Christmas—coffee. Here's why. Notice the temperature dropping ever so slightly? It's only going to get cooler leading up to Christmas, especially in popular mountain vacation destinations like Baguio and Tagaytay. And what's better than a nice, hot cup of coffee to warm your bones? Nothing, that's what. The holidays are a time for mingling and catching up, and more often than not, all this revelry takes place while downing our favorite ales and spirits. But when the bottles stop poppin', you can be sure that a strong cup of coffee will nonetheless lubricate any conversation. ( It's great for hangovers, too). Christmas is a time for eating, eating, and even more eating! There's never a shortage of food, and neither is there a shortage of people who want to eat. And for many of those folks, a top choice for an after-meal drink to help with the digestion is, you guessed it: coffee! Amid all the joyfulness and cheer that happens during Christmas is the somewhat inevitable stress linked to it. Crazy crowds, traffic, parties to attend, and all that stuff is sure to test anyone's patience. But it all gets better with a good cup of coffee to de-stress and balance things out. Studies show that coffee can actually make you feel happier, and not just because of the so-called "caffeine high." The high levels of antioxidants found in coffee are linked to the production of serotonin, the "happy hormone." Pair that with the happiest time of the year, and you'l indeed find that you've got lots to celebrate. 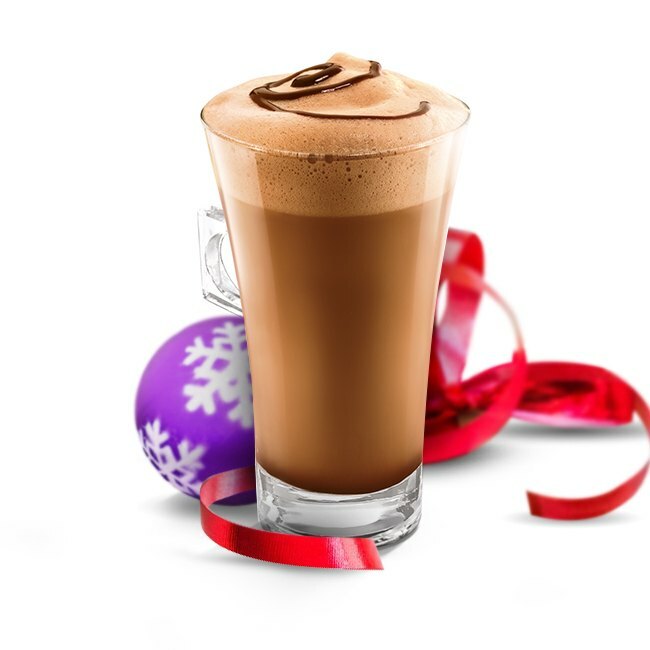 This Christmas, make coffee your holiday companion. For a fun, delightful and heightened coffee experience, discover NESCAFÉ Dolce Gusto. More than its modern, stylish design, NESCAFÉ Dolce Gusto makes perfect café-style beverages every single time. With various flavors to choose from, you’re guaranteed to find your favorite drink again and again. By the way, can't quite figure out what to get your good friends and family this Christmas? 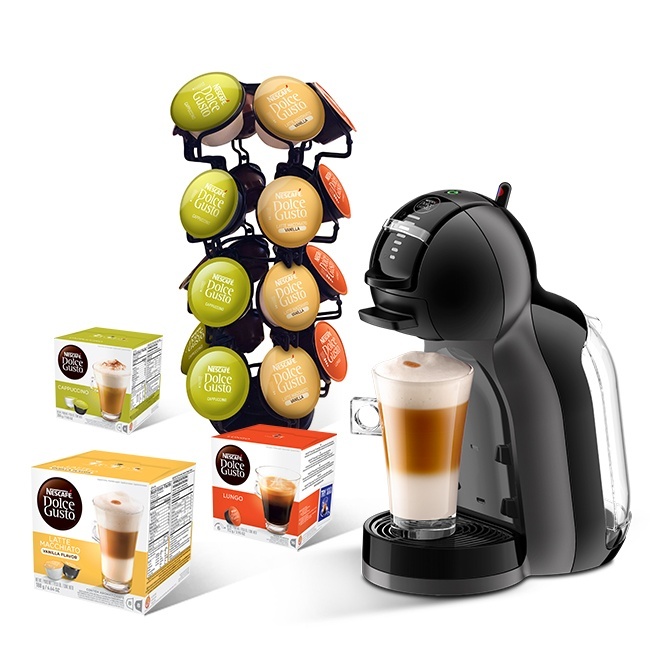 The NESCAFÉ Dolce Gusto system would be a perfect gift solution! Give your loved ones the gift of café-style, delicious coffee every single time - all delivered by a a beverage machine that packs power and style. Check out NESCAFÉ Dolce Gusto on Lazada. For more information on NESCAFÉ Dolce Gusto, click here. This article was created by Summit Storylabs in partnership with Nescafe Dolce Gusto.